The bird wants to be a traveling companion! Great capture and the perfect title! This made me smile, great title! Perfect timing on this amazing capture. Great capture - and fun title too! Love the buffalo's great expression! 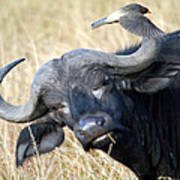 An oxpecker flies over the head of a Cape buffalo on the plains of Masai Mara National Reserve in Kenya. 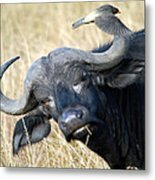 Cape buffalo are one of the most dangerous animals in Africa. 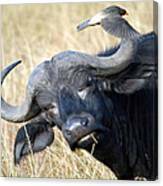 They look big and calm, but these animals can be extremely protective and aggressive. 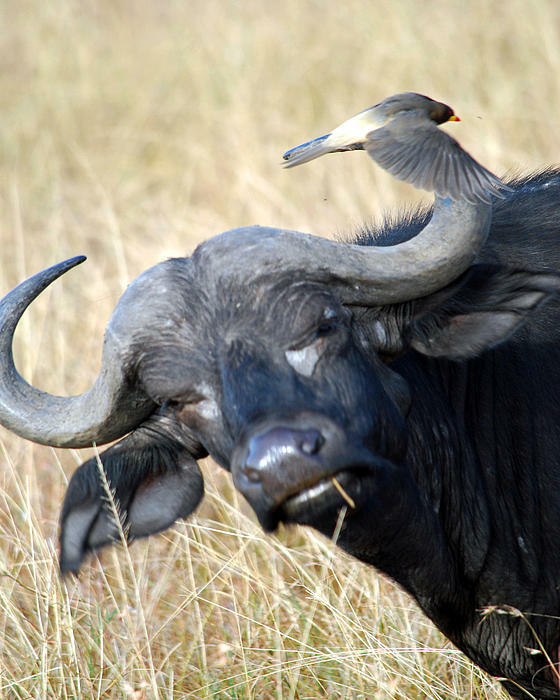 They do, however, live very comfortably with the birds, like this oxpecker, who live alongside the buffaloes and live off of the bugs that are on the animals. Pamela Peters is the owner of Wild Radiance Photography. She is a wildlife and nature photographer from Richmond, KS. She is also an author and public speaker.